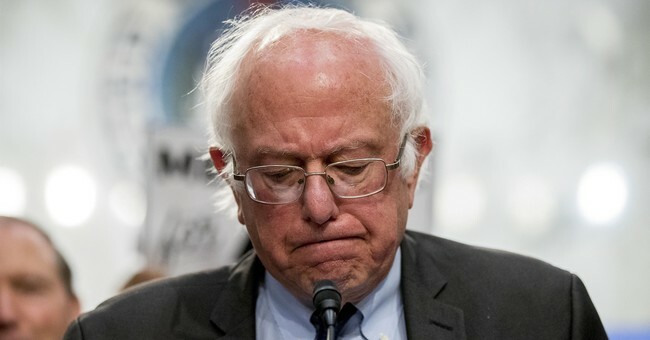 Former presidential candidate Bernie Sanders has been hitting the campaign trail for leftist candidates all over the country this cycle, but as we get closer to Election Day, the socialist is pouring cold water on a "blue wave." "I know a lot of people talk about this blue wave and all that stuff. I don't believe in it," Sanders said during an interview with The Hill Monday. "I happen to believe on election night you're going to find a very very close situation and maybe a handful of votes determining whether Democrats gain control of the House and that we have an entity able to stand up to Trump, or we don't." Sanders' comment comes on the heels of new polling that shows President Trump's approval is at an all-time high, an indication Republicans could do better than previously estimated in the midterms. ?? President @realDonaldTrump's approval jumps ahead of Obama’s midterm approval rating ?? Further, Republicans are still inching closer to Democrats on the generic ballot and winning voters on key issues like the economy. And finally, Republican voter turnout is already hot. In the meantime, Sanders isn't alone in his blue wave skepticism.